GFCI Receptacles: They can be found in your kitchens, bathrooms, garages and outside. GFCI receptacles should be tested monthly or every time you plug something into them. They can’t be tested too often. If not tested, they will go bad. If your GFCI fails to test, it then needs to be replaced. Extension Cords: When putting up extension cords, you should loop them and NOT wrap them around your arm. The extension cord will last longer and it won’t break the wires within the cord. LED Lights: (Light Emitting Diode) Using these bulbs save energy (78% more than regular bulbs) and are great for hard to reach places. The average life of a LED bulb is 20 years based on a three hour burn per day. Payback on them is usually three years or less. Christmas Lights: When connecting Christmas lights use electrical tape on the connections between sets. Also tape over the ends not being used. Never connect more than three (3) strings together (unless it’s LED sets or instructions say you can.) 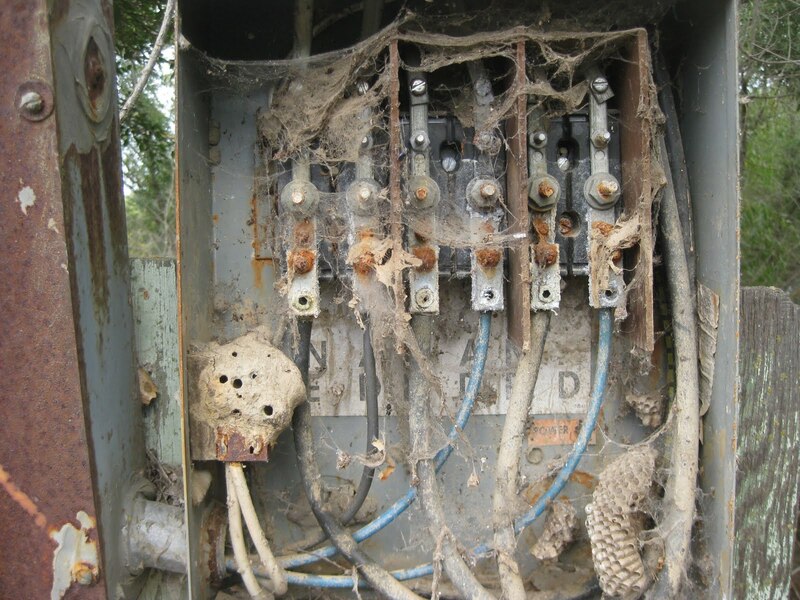 Make sure your GFCI receptacle tests and resets before plugin in your lights or decorations outside. If the cover is an open type, change to an “in use” cover connections can be weatherproof while plugged in. Electric Heaters require a dedicated circuit! In the winter, the use of electric space heaters becomes more prevalent. Almost everyone uses some type of space heater as a supplemental heat source, especially with higher and higher fuel costs. But most people don’t know that a space heater uses more energy than a window air conditioning unit. Space heaters use as much as 1500 or more watts of energy. Let’s do a small calculation: 1500 watts divided by 120 volts equals 12.5 amps. of current draw. Most household electric circuits are rated for 15 amps. or less. Most duplex receptacles are only rated for 15 amps. or 150 watts when under a continuous load of three or more hours. Most breaker and load calculations state that you can use up to 80% of the full load of that breaker’s system for a certain period of time. (80% of 15 amps= 12 amps) Do you see where this is going? We now have a 12 amp. circuit (continuous load) and we have a 12.5 amp space heater plugged into it for hours on end. Enough with these calculations, let’s get down to what really causes the problem, that is, faulty wiring methods. Receptacle manufacturers, electrical contractors and inspectors have been allowed to shortcut the wiring in the wall between the breakers and your electric space heater. The stab in or quick wiring method has been used to make wiring quicker and cheaper for 40 plus years. This method is the leading cause of loose connections, especially during the use of electric space heaters. This method can be corrected, but caution should still be used because of multiple rooms being on the same circuit. 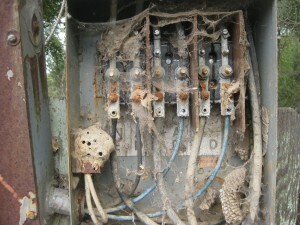 This could cause stress on the breaker or wires causing a fire. A dedicated circuit is recommended to prevent overloads and possible fires. The National Electric Code states that an appliance that draws more than 50% of the circuit needs to be on a dedicated circuit. Electric space heaters is one such appliance. 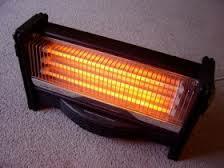 The use of electric space heaters should be strongly questioned in homes built prior to 1950. The stress on the wire insulation could cause the insulation to break down and result in a fire. A dedicated circuit to each other using the space heater is the answer. If an air conditioning circuit is available, one could gladly trade off the load of one for another. If you have or have been running space heaters in your house or business, you need to have your wiring checked to make sure you are on a dedicated circuit. Or, if your lights blink or you have blown a fuse or circuit breaker several times, you really need to have a licensed electrician check it out. Don’t wait ’till it’s too late.